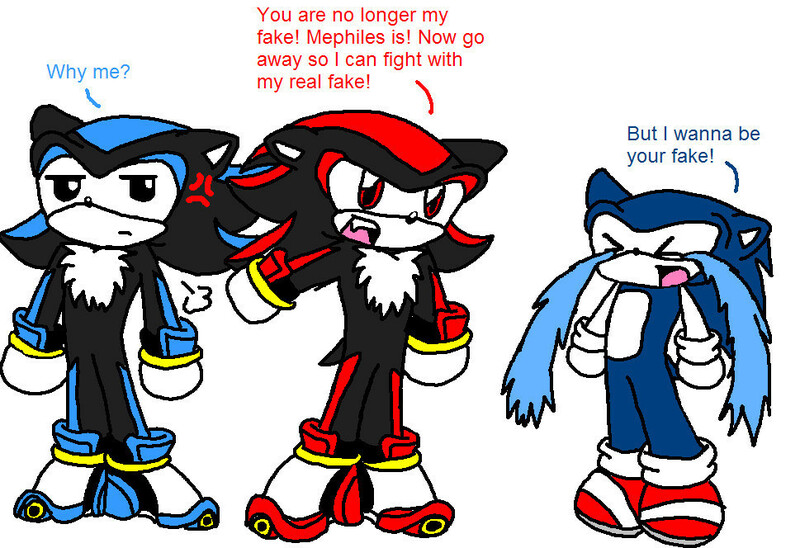 Mephiles Takes over for Sonic. . HD Wallpaper and background images in the shadow el erizo club tagged: shadow the hedgehog sonic. Lol! "But I wanna be your fake!" But Sonic, you still have Scrouge! sonic and shadow dont look alike , stupid sega! oh well. i guess it does make sense.